We surveyed political insiders in California, and most of them are putting on life jackets. 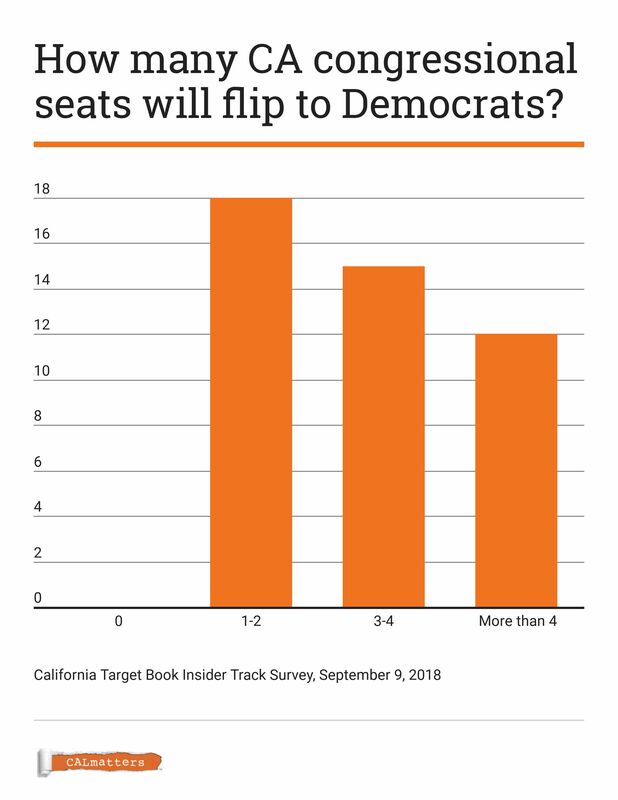 All 45 respondents in the Insider Track Survey—including campaign consultants, party players, lobbyists, and labor and business group reps who are California Target Book subscribers—predict that Democrats here will gain at least one congressional seat. More than a quarter of respondents say they’ll gain five seats or more. Nationwide, Democrats need to flip 23 seats to reclaim a majority in the House of Representatives. Some of the most competitive seats are in California. 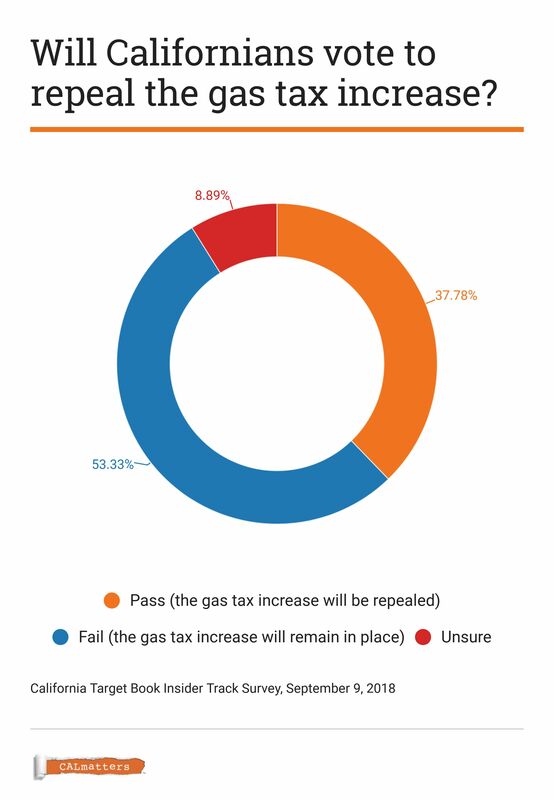 California Republicans have been hoping that Proposition 6—a ballot measure to roll back a gas tax increase passed last year by the Democratic-controlled Legislature—would insulate them from an otherwise unfavorable election environment. But a majority of the survey respondents threw cold water on that idea, too, with 53 percent forecasting that the repeal attempt will fail. That take runs counter to a USC Dornsife poll from last May, which found that 51 percent of registered voters favored repeal. Proposition 6 proponents face overwhelming financial opposition from the state’s business groups, labor unions and organizations representing city and county governments, who argue that the state’s roads will suffer without the extra funding. 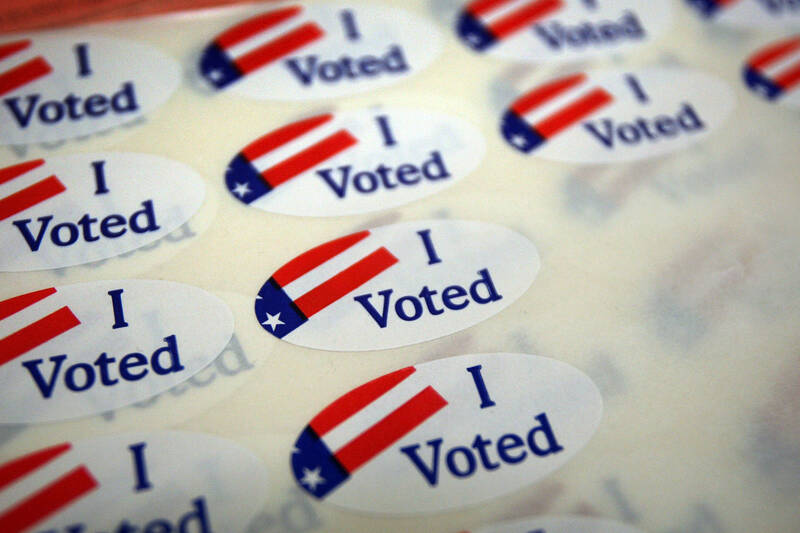 So what is the single biggest issue that will determine the outcome of the November election in California? We asked the insiders, and the results weren’t even close. 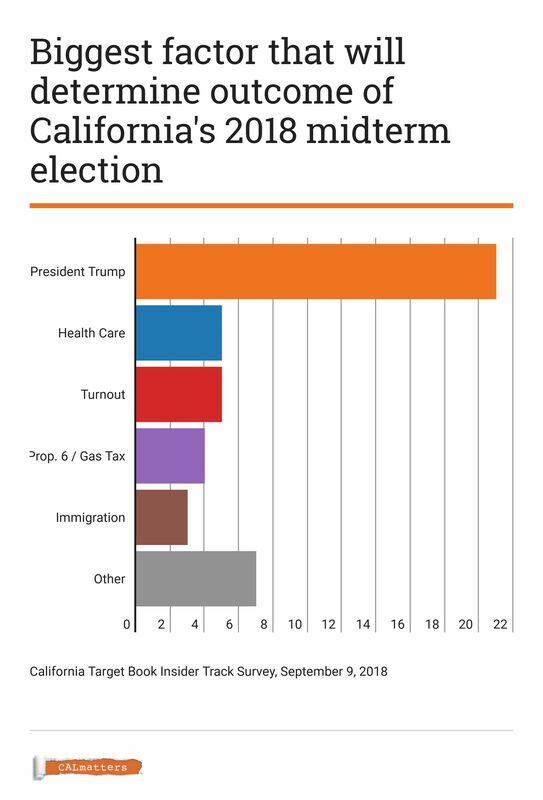 Instead of the gas tax, the vast majority said that the election in California will boil down to the actions, impulses, tweets and public approval rating of one person over 2,000 miles away: President Trump.